Ladies Tonic 120 Veg Caps - Your Health Inc. Very popular herbal formula with women experiencing hormonal imbalance and stress. Women report Ladies Tonic helps them feel calm and in control. Why Ladies Tonic might be helping. Just look at the ingredients…. Red Raspberry- has a long history of uses for various female complaints. Red Raspberry strengthens and tonifies uterus, stops hemorrhages, balances menstrual flow, relaxes smooth muscle tissue, relieving painful menses. Black Cohosh- studies have shown black cohosh root to promote endocrine activity by mimicking estrogen benefits, without actually increasing estrogen specifically. Most commonly used to reduce hot flashes. Dong Quai- relieves pelvic and abdominal congestion during menses or due to constipation. Increases blood flow to reproductive organs, thus acting as a menstrual balancer and aphrodisiac. Ranks high in the treatment of pernicious anemia. Vitex- also known as chaste berry. Has effect of stimulating and normalizing pituitary gland function. Vitex also has the ability to increase progesterenic like hormones giving a nice balanced calm to the emotions. Sometimes helpful for hormonal acne associated with pre-menstrual, pre-menopausal time of life. 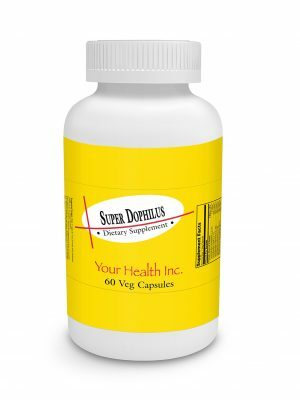 Dandelion- Blood purifier, natural diuretic , supports liver, kidney and bowl function. Excellent source of natural iron that is non constipating. 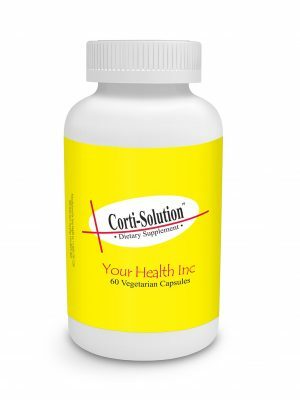 Stimulates bile production, which helps to improve fat metabolism. Siberian Ginseng- Elutherococcus has clinically demonstrated ability to block harmful effects of stress. It has also been used to stimulate production of energy and assist in the relief of high blood pressure. 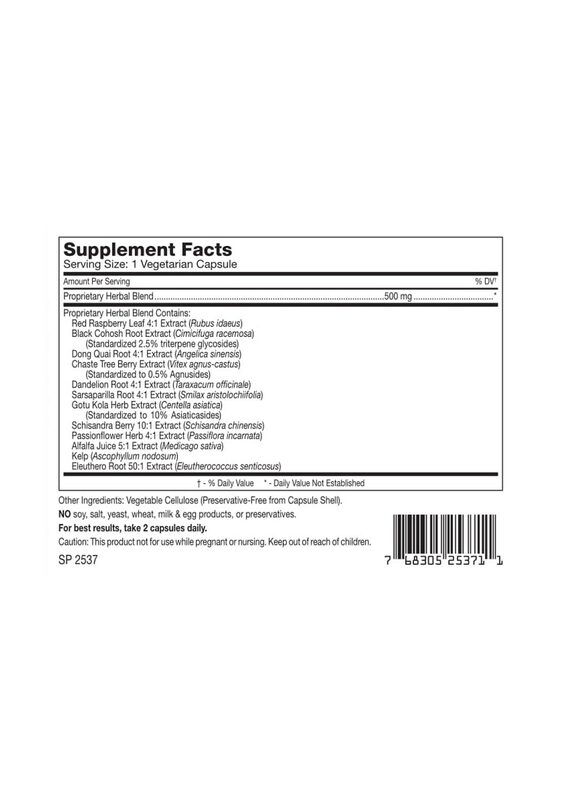 Sarsaparilla- promotes good circulation, balances glandular systems and stimulates natural production of hormones. Treats eats lack of sexual desire by increasing testosterone. Yes, women have and need a little testosterone too. Gotu Kola We like to call this “Brain Food”Gotu Kola has been used to improve memory, circulation and blood flow via its ability to increase the development and maintenance of the blood vessels into connective tissue. Not to be confused with Kola Nut…two very different herbs. Schizandra- Don’t you feel more empowered even just saying the herbs name? Schizandra! This herb is an adaptogen that works to increase the bodies resistance to disease and helps to improve the body’s response to stress. Has also been used for insomnia, restless legs and excessive sweating. Passion Flower- relieves muscle tension and reduces anxiety commonly associated prior to or during menses or hormonal cycling. Passion flower has an over all calming effect. May be helpful with moderating blood pressure. Alfalfa- provides a rich source of vitamins, amino acids, proteins and trace minerals. Alfalfa helps to alkalize and detoxify the blood stream. Good natural source of calcium and magnesium. Kelp- supplies essential trace minerals which are not readily available in our soils anymore. Trace minerals are things like, chromium, strontium, boron. These trace minerals are essential elements needed by the body to carry out vital functions in the body like balance blood sugars, build strong bone, digestion, metabolism and keep the thyroid functioning properly. 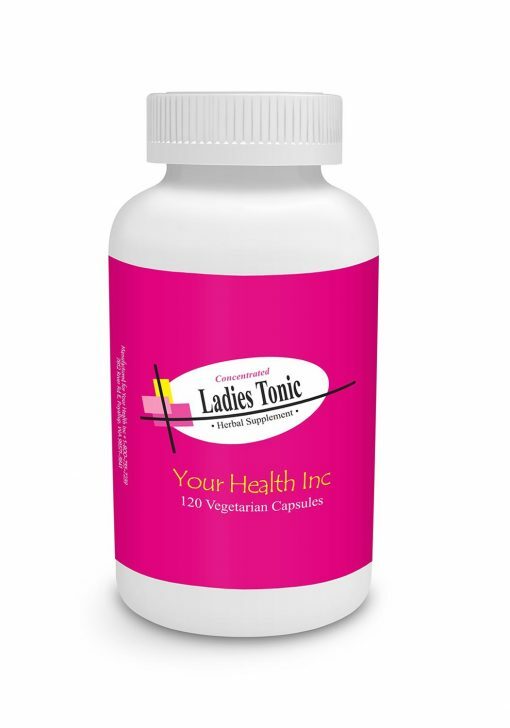 I was given a sample of the Ladies Tonic and the day I took 2 capsules, I could feel the difference. My mood swings have stopped and I am much happier. I have used Ladies Tonic for about 2 months now. I have had many life trying challenges and have had no problem dealing with the ups and downs. I feel my emotions are much more balanced out and as one of my friends said to me, “I’m not sweating the small stuff so much.”My relationship with my husband has greatly improved also.I will continue to use this product. I am very happy and satisfied with the results.Thank you so much. I couldn’t live without it and everyone around me agrees! 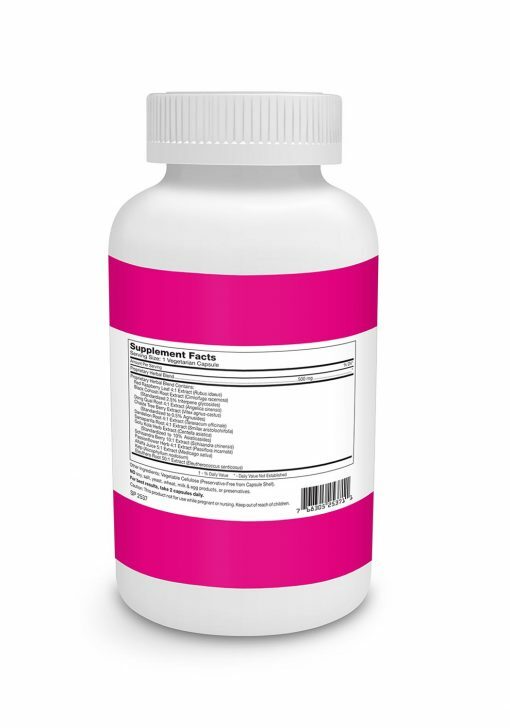 I tried many other products to manage my menopause issues and hot flashes; this is the only one that worked.